50% OFF! 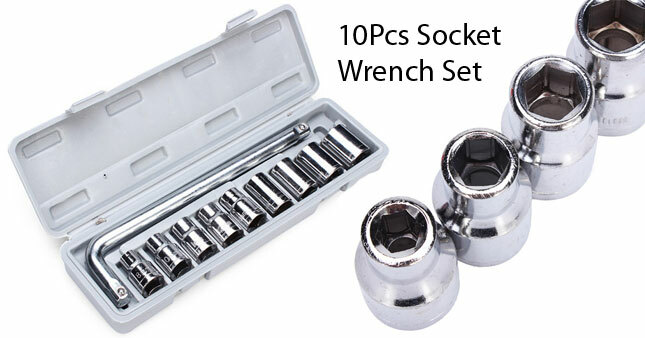 10Pcs Socket Wrench Set worth Rs. 1,500 for just Rs. 750! The 10pcs multipurpose set includes a wide range of sockets that can be used for cars, bikes and home appliances. These sockets and wrenches are able to grip metric fasteners, reducing slippage for greater safety and making it virtually impossible to damage them. Type: 12.7mm / 0.5 in. 10-piece set would be fulfill your repai work. Please allow a bit hand measuring errors.